Dr. Alok Saxena is Scientific Officer (H+), Head, Nuclear Data Physics Section, Member-Secretary, Nuclear Data Physics Centre of India (NDPCI). Earlier he has worked as Head, Fission Physics Section from 2004-2010. Dr. Alok Saxena has been involved in studies of heavy ion fusion-fission reactions and contributed to the understanding of fusion-fission reaction mechanism and dynamics using fission angular distribution, mass distribution, total kinetic energy distribution, neutron, charged particle emission and fission probability as a probe using pelletron accelerator facilities at TIFR and Inter-University Accelerator Centre, New Delhi and Legnaro National Laboratory, Italy. In particular, he has used neutron clock to point out the importance of formation time in total dynamical time in the fusion-fission process. This study contributed to his thesis in 1993 and the work was published in Phys. Rev. C and has over 99 citations ( google scholar). He and his co-workers have also measured fission fragment angular distributions for different target-projectile combinations. The results confirmed the predictions of pre-equilibrium fission model proposed by BARC scientists and were published in Phys. Rev. Lett. and the paper has over 95 citations (google scholar). After that, he has extended these studies to the superheavy region. From an extrapolation of the measured total neutron multiplicities for the mass symmetric region to zero compound nucleus excitation energy, the average number of prompt neutrons expected to be emitted in the spontaneous fission of the superheavy nuclei were determined for Z=116 and Z=124. Also, he and his coworkers have measured neutron and charged particles simultaneously in heavy ion induced fission to point out the role of deformation in the dissipative process. He has also contributed to measurements evaporation residue cross-sections which is a sensitive probe for pre-saddle dissipation. He and his coworkers used pre-scission neutron multiplicities to deduce shell effects at the saddle point which is still an open problem and is complicated by neutron emission due to fission delay. He has also contributed to photo-fission cross-sections for many actinide nuclei using microtron facility at Mangalore University. Apart from these studies he has also studied and contributed to other nuclear reactions such as elastic, inelastic scattering, transfer reaction, breakup reactions, giant resonances, and many papers were published. Apart from the above studies, he was also involved in using energy dispersive X-ray fluorescence to find the concentrations of various elements in the samples relevant to biology, agriculture, medicine, forensics, and many other applications. He was also involved in the development of data acquisition system using the PDP-11 in the initial part of his scientific carrier and has also contributed to the deep ionization chamber which was used in Ph.D. of two scientists. These studies have been published in International Journals of high impact factors with overall citations of 1013 and with h-index of 16 and i10 index of 30 ( google scholar). Recently, a review article was written by him on “Pre-scission Particle Emission as Probe of Fusion-Fission Dynamics” for a thematic bulletin on nuclear fission to cover the recent progress in this area published by Indian association of nuclear chemists and allied scientist (IANCAS). Recently, he has been involved in nuclear data for application relevant to programs of the department of atomic energy and is working as Member-Secretary of Nuclear Data Physics Centre of India (NDPCI) and coordinating the activities related to nuclear data within the Country. He and his coworkers have also used the surrogate technique to indirectly measure neutron-induced fission cross-section for many unstable actinide nuclei which were otherwise difficult or otherwise impossible to measure directly. These cross-sections are relevant to fast neutron reactors and incineration studies in the Accelerator driven system. He has also used 7Li (p, n) reaction as a source of neutrons to measure activation cross-sections for many nuclei. He is also involved in measurements of prompt fission neutron spectra in fast neutron induced fission which is relevant to many reactor applications. He is also conducting the meetings of NDPCI to coordinate the work related to nuclear data. 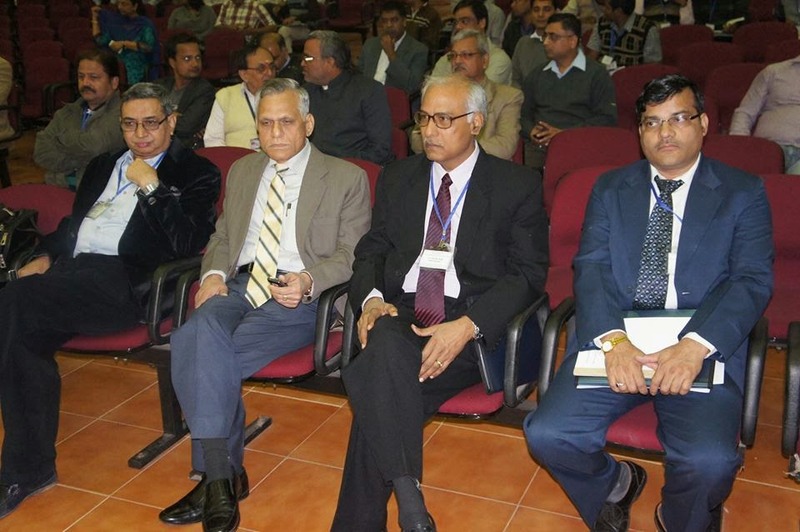 He is also involved in processing many projects related to nuclear data given to various universities in India and also involved actively in many of them as a principal collaborator or departmental coordinator. He has also participated in neutron time of fight studies at CERN, Geneva which has resulted in many publications. He has also organized training workshops in EXFOR compilation as technical convener which contributed to an entry of results of Indian measurements in International Atomic Energy Agency (IAEA) database well appreciated by the agency. 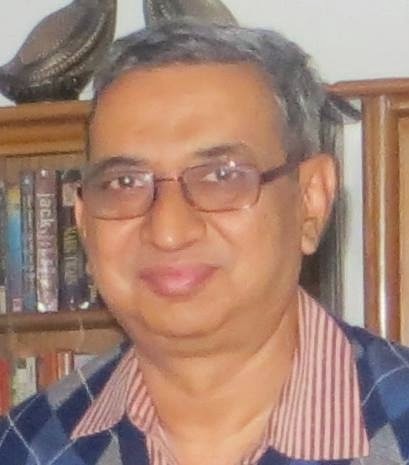 Dr. Saxena is an expert member of the committee by Department of Science and Technology (DST) fast-track scheme for Young Scientists Program in Physical & Mathematical Sciences since 2009. The committee meets three-four times a year to award projects to young scientists after evaluating the proposal and also monitor their progress. He is also a Chairman of a selection committee to recruit training school officers in department of atomic energy since 2011. He has also organized many workshops and symposiums related to nuclear physics and nuclear data. The latest one is 5th Asia-Africa Science Platform Program (AASPP) workshop on Asian Nuclear Database Development at being organized at Mumbai during 22-24 Sept 2014. He has also attended meetings of IAEA related to Nuclear Reaction Data Centres of Nuclear Data Section of IAEA in 2012 and 2014. He is also chief investigator of an ongoing coordinated research program of IAEA on prompt fission neutron spectra. He is also a team leader from India for the CERN neutron time of flight project. 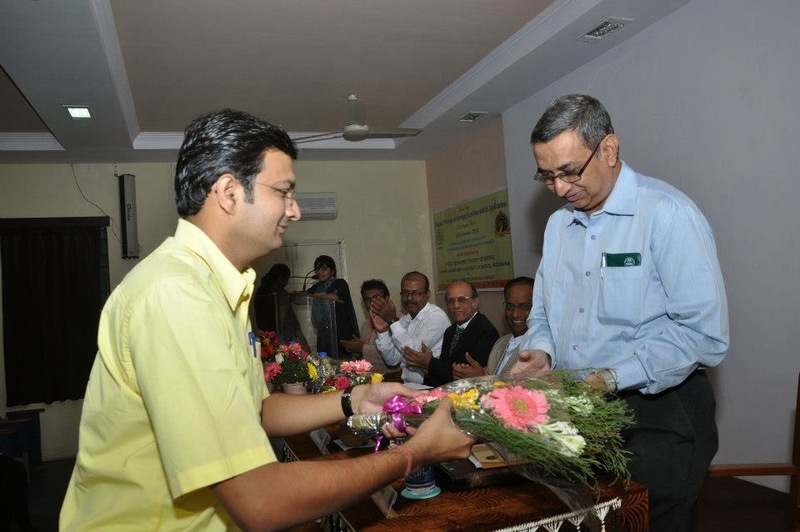 He has also delivered talks in several universities as an Invited speaker as a part of the outreach program. He has also worked as a referee for Pramana journal. He also worked as a member of Accelerator Users Committee of Inter University Accelerator Centre, New Delhi and BARC-TIFR pelletron-linac facility.